Hungary is a country that offers many fascinating historical and cultural attractions. It’s also an underappreciated place where you can enjoy exceptional value. For example, Budapest is a world-class city where prices for food and hotels are considerably cheaper than in Western European cities such as London, Paris, or Rome. 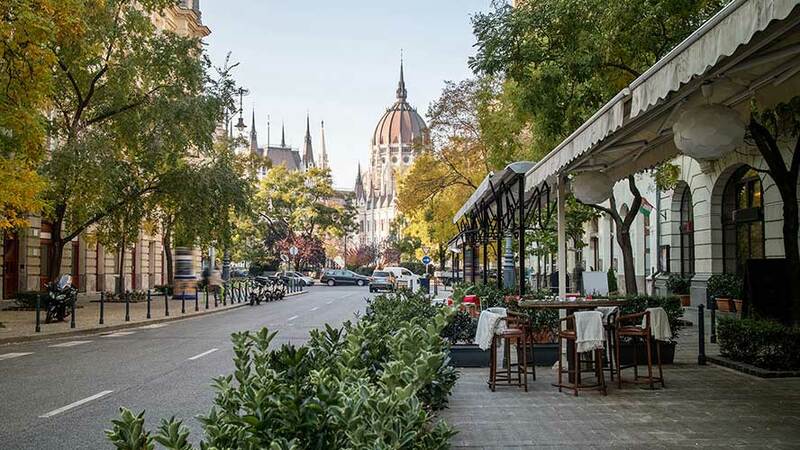 In fact, Budapest is sometimes called the “Paris of Eastern Europe.” Hungary has a culture all its own, including a tasty and nourishing cuisine and a language that’s completely distinct from its neighbors. Here are our top three choices for destinations not to miss when you visit this amazing country. Buda Castle or the Royal Palace is one of the best-known attractions in Budapest and at the top of our list of places not to be missed. In one sense, you can’t miss it if you visit the capital city as this magnificent castle is visible from almost everywhere. Buda Castle has a long and colorful history. Originally built in the 13th century, it suffered multiple sieges and was completely destroyed during the Battle of Buda against the Turks in 1686. It was soon rebuilt, however, and the new castle has been standing for more than 300 years. The palace suffered still more damage during World War II but this was repaired as well. While you can admire Buda Castle from afar, it’s definitely worth exploring up close. One of the most distinctive features is the dome, a relatively recent addition that was created in 1961. The dome is actually part of the Hungarian National Gallery, a museum that opened in 1957 and which contains some of the nation’s most prized artwork. In addition to viewing paintings and sculptures from Hungary and throughout the world, the dome terrace is one of the best places in Budapest to get panoramic views of the whole city and the Danube river. Buda Castle also houses a couple of other impressive museums: The Budapest History Museum and the National Library. Exploring the castle and grounds, you’ll encounter a variety of scenic views and impressive works of art, including the famous Lion Courtyard with its majestic lion sculptures, a famous statue of King Matthias. If you want to save yourself the trouble of walking up the hill to Buda Castle or if you just want to enjoy a scenic ride, take the Buda Hill Funicular, a tram that goes from the river to the castle. If you want to experience some of the natural beauty of Hungary, take a trip to the peninsula of Tihany, which is on the shore of Lake Balaton. The most famous attraction in Tihany is the 11th-century Benedictine Abbey that overlooks the lake. The Abbey has a museum that showcases some of the area’s long history. Naturalists and gardeners love this area for its diverse and beautiful flowers and trees. It’s especially striking in spring and summer when you can admire blooming almond trees and take in the scent of lavender. Because of its uniqueness, the area has been designated a National Park since 1952. The Lavender House Visitor Centre is a good place to get your bearings and learn more about the area. Here you’ll find a variety of exhibits, films and a lovely lavender garden and maze to wander around. There’s also a tea shop and an opportunity to purchase unique herbal products made from local herbs, including lavender of course. In addition to being a pleasant place to hike and explore history, Tihany has its own growing arts scene. There are several art centers and galleries as well as an annual summer arts festival called ARTplacc. Kalandsziget Tihany Forest Adventure Park is a fun family destination that has rides, obstacle courses, climbing trees and other challenging activities. Tihany has a number of great restaurants, including the famous Régi Idők Udvara Skanzen and Restaurant, which provides a complete experience of dining in the traditional Hungarian manner. All in all, the charm and natural beauty of Tihany provides a refreshing contrast to the more cosmopolitan atmosphere of Budapest. Eger, in Northern Hungary, is one of the country’s many spa towns, where you can relax and rejuvenate in thermal baths and enjoy a variety of beauty treatments. In Eger, you can visit the famous castle in between sessions at the spa. Situated in the scenic Bükk Mountains, Eger Castle has played a crucial role in Hungarian history for hundreds of years. This castle has seen plenty of action and suffered destruction at the hands of the Mongols, Turks, and Austrians. Its most famous moment was when the town’s residents successfully fended off a much larger Turkish army in 1552. You can tour the surviving parts and ruins of the castle, including some underground passages. Many new exhibits and features have been added in the last few years, including a 3D movie about the history of Eger Castle. While the castle is the highlight of Eger, the area also has other points of interest. Dobó Square is the center of the town and has some interesting buildings, including the picturesque Minorite Church. As noted, you can enjoy some luxurious thermal baths and spas in spots such as Saliris Resort. There’s also the Lyceum, a college built in the 18th century, which has a library and museum dedicated to astronomy. The Torok Kori Minaret, built by the Turks, is a remnant from the days when the Ottoman Empire occupied the area. If you’re game, you can climb the narrow 97 steps and get a great view of the town and Eger Castle. Still another reason to visit Eger is to sample the region’s famous wines. The area has numerous caves, which were originally built as hideouts from invaders but are now wine cellars. Quite a few of these are open to the public. Siren’s Valley, also known as Valley of the Beautiful Women, has the largest selection of these wine caves. Hungary is a diverse and underappreciated destination that offers all kinds of charms. If you’re planning a multi-country trip, it shares borders with 7 other nations, including Austria, Romania, and Slovakia. Budapest offers at least as many attractions as any other European capital and often at a considerably lower cost. If you’re fortunate enough to have a chance to visit Hungary, see as much as you can but make sure you don’t overlook the sites we’ve covered here.